Recorded live at the Poetry Open-Mic at Walls of Books in Washington, DC on Friday, December 8th, 2017. aois21 Publisher Keith F. Shovlin reads a poem by William Butler Yeats. This is the fifth of several episodes from the evening presentation, part of aois21's #GiveABook campaign. This podcast is brought to you by Audible. Visit audibletrial.com/aois21 and receive one month free on the world’s largest audiobook service. Get your free audiobook today from their library of 180,000 titles! Additional support is also provided by Bookbyte. Buy and sell used textbooks today at Bookbyte.com. Also by Photolemur, the world’s first photo editing AI software. Download today at Photolemur.com. And by Simplilearn, get certified today in digital marketing, project management, IT Security, and more! Enroll at Simplilearn.com. This podcast is also brought to you by the stage play of Interlude to Sentimental Me!, the original poetry by aois21 Creative Michael B. Judkins. Tickets start at just $15 with discounts for youth and seniors. Both performances will be at Rosemont Lutheran Church in Bethlehem, PA. Get your tickets from EventBrite today! We issued the challenge, now we need your support! 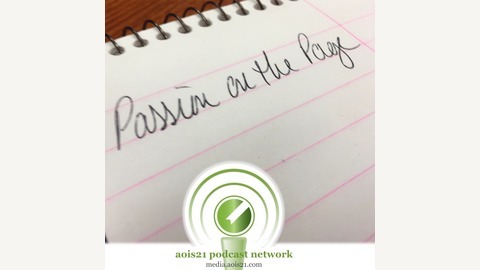 Rekindle the Passion by supporting this podcast on Patreon at Patreon.com/aois21. If we can get $8 pledged per month, this podcast can continue into next year. aois21 audio would like your help! Yes, you! We are currently conducting surveys of listeners to several of our podcast series. Visit surveys.aois21.com or the homepage of each podcast to find the link. It will only take a couple minutes of your time and we would like to thank you with 21% off any purchase from the aois21 market and enter you in a drawing for a chance to win a $25 Visa Gift Card. So visit surveys.aois21.com today and let your voice be heard! 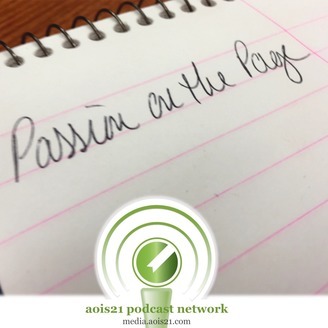 Subscribe to the podcast on Soundcloud, Apple Podcasts, Stitcher Radio, Google Play, Tune In, and audio.aois21.com.